As technology continues to mature, business owners and entrepreneurs will be able to harness the power of self-driving technology for their benefit. The good news is that since our society revolves around transportation, it won’t just be the automakers and engineering companies that can take advantage of this technological revolution. As more entrepreneurs enter the market to bring their dreams to life, they will find that autonomous technology is going to provide valuable opportunities to help them grow their business. Tomorrow’s entrepreneurs and small business owners can leverage the benefits of self-driving technology to reach new customers, transport product more efficiently, and free up the time of their workforce to be more productive. The goal of every business is to make more money. As autonomous cars become more prevalent in our cities and dominate our public roads, entrepreneurs will have new and exciting ways to reach their customers. Waze and other GPS apps have already shown the future of marketing. These programs leverage the current location and destination of users to deliver highly personalized ads. Once self-driving cars take over the market, entrepreneurs with smaller marketing budgets can compete with their larger competitors. Within the next decade people will have more free time as they are transported in their autonomous cars, and during this time passengers will be able to consume engaging content. This new marketing platform will prove valuable for entrepreneurs trying to reach their customers with relevant marketing messages. One of the primary cost behind any distribution system is the cost of transportation. Many growth solutions solve problems related to supply chain, distribution and efficiencies. Liability insurance, staffing, and vehicle maintenance can cut into the bottom line of any business. Autonomous cars and trucks will provide one way for entrepreneurs to reduce operation costs and improve their overall profitability. As a result, this trend will help small businesses grow product lines and have better access to more affordable transportation options. As we talked about before, one of the biggest benefits of autonomous cars is that passengers will have additional time to be productive. Instead of actively engaging with driving, entrepreneurs can use their commute to attend virtual meetings, brainstorm, and work on worthwhile projects. These vehicles will become neat offices that allow entrepreneurs to continue working. 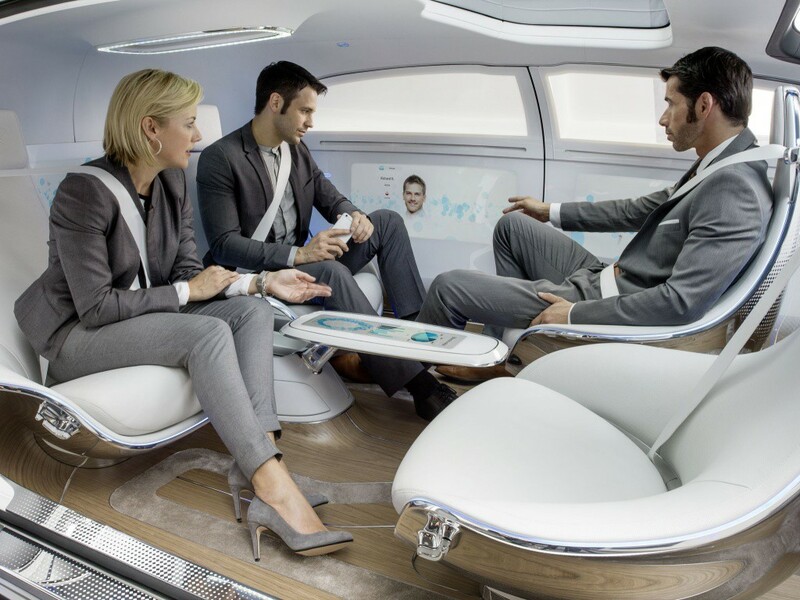 Autonomous cars might even become the preferred mobile office for many tech-savvy entrepreneurs. Instead of meeting at brick and mortar office buildings, entrepreneurs can save time by meeting with their partners as they travel to a particular destination. While the future of autonomous cars is still uncertain, we can look forward into the future with excitement as we think about how to apply this high technology to small business owners. By thinking ahead, entrepreneurs will take advantage of the next wave of major innovation in our industries. Thus, get ready to grow your business with autonomous vehicles. Entrepreneurs need to take every opportunity they can to improve efficiency, marketing, and productivity of their business. Self-driving cars will provide the foundation many entrepreneurs need to reach their goals. They will have more control over time management of activities and boost their profitability!